Life Cycle Analyses (LCA) has become today a basis for product makers to rethink about their products. LCA is a technique that helps to assess environmental impacts associated with all the stages of a product’s life from-cradle-to-grave i.e., from raw material extraction through materials processing, manufacture, distribution, use, repair and maintenance, and disposal or recycling. We are now looking for cradle-to-cradle as our goal. Typically, life cycle of a product goes through various phases. 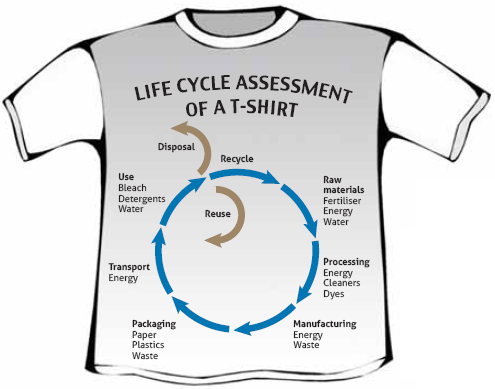 Figure 1 shows life cycle phases for a T-shirt. Figure 1 – Life cycle phases for a T-shirt. Indeed, each phase of life cycle for a product corresponds to different intensities of environmental impacts. For some products, processing or manufacturing phase dominates and for some, it is the use phase where substantial environmental impacts occur. The impacts in the manufacturing phase are best addressed by the manufacturer through product redesign, sustainable packaging, influencing the supply-chain, deploying better logistics and taking back the used product as extended producer responsibility. The use phase impacts of the product are however to be managed at the consumers end. If the consumer is careless, insensitive or not aware of how to use the product correctly then the impact in the use phase can be substantial. There are many products that have low environmental impact in the manufacturing phase. These products with their low environmental impact in the making appear to be like dwarfs and hence appealing while making the choice! But in the use phase, the same products lead to significant environmental impacts; especially if abused or carelessly used. The environmental impacts of such products cast tall shadows! Examples of such products are incandescent lamps, iron, washing machine etc. Figure 2 shows normalized percentage of environmental impacts (on Y-axis) for a washing machine in different phases. Clearly, you would notice that for a washing machine the use phase dominates. It is important therefore that the product makers and product users or consumers work in tandem and communicate with each other. Both must implement or influence responsible manufacturing and undertake responsible product use. Only then we will be able to achieve the goal of sustainable production and consumption. It is our joint responsibility. We as consumers should therefore be very particular about correct use of the products we buy. Most product makers today guide the consumers regarding optimum use of the product not only limited to safety but also towards minimizing resource consumption and waste generation. 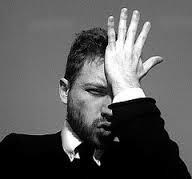 Often, we do not read the product-use instructions carefully nor do we practice the instructions in all seriousness. When you get a new washing machine at home, you may like to do a “family session” of collective reading of the user manual and learn how to use the washing machine in the most energy and water efficient manner. For example, washing machines should be best run with full load and one should practice line drying as much possible. Levy’s claim that the use phase impacts of a jean can be reduced by 50% if it is line dried and washed in cold water. If every U.S. household used only cold water for washing clothes, then it is estimated to be equivalent to nearly 8 percent of the Kyoto target for the U.S on carbon dioxide emissions! So “use phase” of such products really matters. So, when we buy a product, we should select the product by looking at its full life cycle impacts. As a consumer, take on the responsibility to minimize environmental impacts in the use phase and insist for guidance from the product makers. 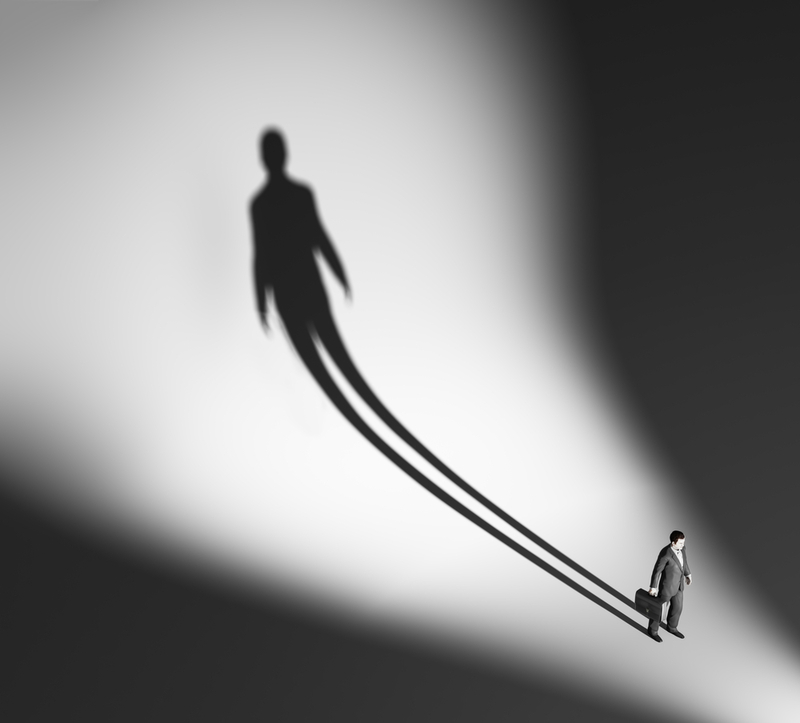 Let us be responsible consumers and not cast ‘’tall shadows’’ with the products we use and consume! For students – Take up a research project on LCA of some of the products like washing machine. An electric iron, a cotton T-shirt could be examples where use phase dominates. Consider a bicycle on the other hand where impacts in the making or manufacturing are much more than during use. You may also like to do household surveys to check how much gets read and followed up on the use guides/instructions provided by the product makers. How well are these manuals done and do they focus on reducing impacts in the use phase. Can you ever be 100% Compliant to Environmental Standards on 24×7 basis? Compliance with environmental standards is expected to be 100% and on 24×7 basis in most countries including India. This means that if you draw a sample at any time, the concentrations of the specified pollutant must be within the set limits or standards. If not, it becomes a case of violation or non-compliance that the regulator can act upon. Even one single default becomes a case of non-compliance. This situation is applicable for both emission/effluents as well as for ambient environmental standards. Given this expectation, can any polluter be truly compliant? And when ambient environmental standard gets violated, how do we find the ‘culprit’? And do we act in case of such a violation, against the regulator or against the regional agency responsible? But I wonder how realistic it is to ask for 100% and 24×7 compliance in the first place. We all know that emissions and effluent streams are to be released after required treatment. The design of treatment and disposal systems is to be done such that compliance can be ensured. The treatment systems however receive variable quantities and sometimes unpredictable characteristics of ‘inputs’. Even given this variability (often beyond the control of the treatment system designer and operator), ‘outputs’ are expected to meet the standard, 100% of the time. Is this reasonable? And isn’t this asking for too much? On most occasions, the regulators (e.g. Pollution Control Boards in India), use their discretion based on how frequently the emission/effluent concentrations cross the limits? To what extent is the violation? Which are the parameters and how critical are they in positing risks or causing damage to humans and ecosystems? Occasional and marginal ‘defaulters’ are then let go with warning and fines. This can be a subjective process. Most polluters follow this first option of negotiation with the regulator and pay fines especially when the violations or noncompliances come to light. The second option is to ‘overdesign’ the treatment and disposal systems with a ‘factor of safety’ to handle the input variability. Most industrial effluents today are subjected to flow and load balancing and equalization tanks get added to the ‘process train’. In some cases, additional treatment processes are introduced or the treatment units are oversized. This strategy of ensuring compliance however requires more capital investments. The third option is to reduce variability of inputs at the source itself by introducing process controls and practising effluent segregation. This option is perhaps most effective and goes well in combination with option 2 stated above. The fourth option is to frame compliance with the standard in a statistical manner. Here, we accept the fact that 24×7 compliance on 100% basis is just not possible. For ambient air quality in India, compliance for 98% of the time is acceptable with the annual average standard (See http://cpcb.nic.in/National_Ambient_Air_Quality_Standards.php) To calculate the annual average, the number of samples specified is 104 i.e. two samples drawn every week over 24 hours. The additional condition is that while 2% of samples may be noncompliant, violation of the standard cannot happen on more than two consecutive occasions. I like this definition of compliance as it recognizes the fact that 24×7 and 100% compliance for ambient air quality is not possible. It then goes on to accept 98% compliance, defines the sample size and stipulates that more than two consecutive violations will not be acceptable in the noncompliance zone of 2%. Unfortunately, what has been proposed for ambient air quality in India, the same has not been ‘translated’ to air emissions from stacks or to effluents from industries? We do not state, for example, that an effluent treatment plant at an industry will report at least 156 samples in a year (i.e. thrice a week), with samples collected on a composite basis. Out of the 156 samples, at least 95% of the samples must be compliant. Out of the 5% of the violations, non-compliant samples should not be consecutive or over two successive occasions. Indeed, we need to bring such anomalies to the notice of the regulators and also the judiciaries. We have to be realistic, scientific and practical. Let us not overstate the requirements of environmental compliance. While we may pursue Options 2 and 3 stated above, let us lobby with the regulators to refine environmental compliance in a statistical framework. For students – Take up a research project to review statistical or probabilistic standards – whether these are in vogue and in which countries they exist and what has been the practical experience. Cover ambient as well as emission/effluent standards. See paper “Some Historical Statistics Related to Future Standards” by Paul M. Berthouex, at http://cedb.asce.org/cgi/WWWdisplay.cgi?21665 as a source of inspiration..
Segregation of waste at source is important. It’s an effort that pays everybody and solves half the city’s problem of waste management. Waste segregation costs nothing and takes hardly any extra time. It’s a matter of understanding and more about responsible behavior. When you segregate waste into two basic streams like organic (degradable) and inorganic (nonbiodegradable), the waste generated is better understood and consequently recycled and reused with higher potential for recovery. Waste pickers typically use inorganic waste and segregate waste further into paper, metal, plastic and then sell them to earn a livelihood. These waste streams get collated through the informal ‘eco-system’ of waste bankers and waste traders who become ‘material suppliers’ to the formal manufacturing sector. As a result, you see products being made out of recycled plastic, metals getting reused for product-making and waste paper getting mashed into pulp to make recycled paper. The organic waste component is often converted into compost and/or methane gas using Mechanical Biological Treatment (MBT). Compost can replace demand for chemical fertilizers and biogas can be used as source of energy. As a result, much of the waste gets utilized as a resource – benefitting waste pickers, waste traders, small and medium industries, citizens and the local municipal authority. Waste, if not segregated, can pose risks and constraints on the choice of operation of waste processing technologies. Plastic in waste if incinerated could lead to release of dioxins that are toxic. Household hazardous waste if not segregated (e.g. spent batteries) can result in compost that is contaminated. Proper segregation of waste thus leads to a “circular economy” creating green jobs, reducing consumption of virgin resources and promoting investments and innovations. Furthermore as waste transportation reduces, emissions reduce; life of the landfill increases and risk to the ecosystem goes down. 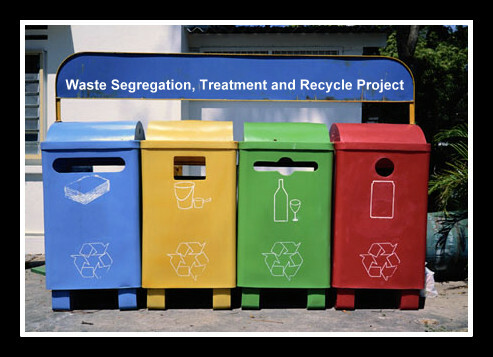 Segregated waste reduces health and safety related risks to waste pickers and to the ecosystems around the waste treatment and disposal sites. It is intriguing however that despite these benefits, waste segregation does not happen much at the source. Most of us understand the importance of waste segregation but still do not practice. So where is the problem? Is it an issue of attitude or do we simply not care! Today, the percentage of waste segregation in Asian cities is rather low. It hovers between 30% and 60%. Segregation at source is however much higher in Japan, EU and Northern America, where it ranges between 60% and 90%. Some cities have progressed on waste segregation by raising awareness, offering incentives and by imposing penalties or through enforcement. Providing business links, facilitating microfinance, providing waste sorting infrastructure and setting up better institutional arrangements through establishment of Public Private Partnerships (PPP) have been the other strategies. Cities like Singapore and Hong Kong where availability of land is an issue, waste sorting centers or Material Recovery Facilities (MRFs) have become integral to building design. Generally, for sorting, basements of building are used. Chintan, an active NGO in India has come up with planning norms for locating waste sorting centers in cities based on surveys carried out in New Delhi. Local authorities are encouraged to provide sorting sites on this basis, in order to promote segregation. The National Solid Waste Management Department (JPSPN) in Malaysia is distributing for free 120 L Mobile Garbage Bins (MGB) with two compartments to be installed in the premises of households in Kuala Lumpur. These MGBs are compatible with the new Refuse Collection Vehicles (RCVs) and hence less waste is expected to reach the landfill. Tamil Nadu State in India is attempting various incentives to increase the extent of segregation. In the city of Coimbatore financial incentives are given to the wards that perform better on segregation of waste at source. So the ward officers and communities work together to improve upon segregation. In the city of Salem in Tamil Nadu, one pencil is given for 1 kg of plastic waste and a notebook if 10 kg of plastic waste is segregated. The community in turn sells plastic at INR 2.50/kg to the market. Jars are kept outside city temples where worshipers are encouraged to bring used glass bottles. Glass then sold at INR 0.5/kg and the monies collected are used to whitewash the temples. So here the strategy is tap on the religious sentiments! (ALM). Every housing society that registers with ALM contributes Rs 1/ day to promote waste segregation at source. Today most metro cities in India have such citizen groups and are supported by local municipal authorities. Levying fines has been a strategy ‘enforcing’ waste segregation. City Government of San Fernando in the Philippines has imposed penalties for individuals who fail to segregate under its program “HandaKa Na Ba San Fernando? Now Na! Mag- Segregate Na!” (Are you ready, San Fernando? Now is the time! Do segregation now!) Fernandinos are asked to segregate their garbage or pay P500 to P1000 if waste comes from a residential source. Business establishments found violating the law are fined P2000 to P5000. In order to ‘localize’ the benefits of waste segregation, technology is brought in for the rescue. Companies that are famous for molded water tanks are now producing quick-install biogas plants. Vegetable waste goes into a fermented segment in these units and, with the help of microbes, starts producing methane that can be piped to a stove in the kitchen. The sludge that remains at the end of the process is applied to plants as fertilizer. A version of this technology that uses waste vegetables and sugar won an Ashden award for the NGO ARTI in Pune, in India a few years ago. These emerging technology options will certainly provide an incentive towards waste segregation at the source. So, it is rather worthwhile if you take a few minutes of your time, to put the ‘waste’ in your household and premises ‘in order!’ Waste segregation pays, benefits all and makes our cities sustainable and livable. Waste segregation should become our habit rather than an obligation. Do you really want to bite that Organic Apple? Last week I was in a supermarket to buy some food items. A poster on Organic Food attracted me. There was a whole new section on Organic. There were organic vegetables, organic fruits, organic preservers, organic tea etc. Then there were flyers stacked around that talked about benefits of going organic. The prices of the food items were a bit higher though. But then I thought that this premium I shouldn’t mind as it may offset the costs of me not falling sick or perhaps may reduce my chances of hitting a cancer over a long run! So I decided to go organic and picked up a pack of Organic Apples produced in New Zealand. The apples tasted real good! I thought it was worth the bite. If we go by this definition then the concept of organic food is really not new. In fact, this is how the food used to be produced generations ago following traditional farming. So going organic now simply means that we are going back to our culture that respected the environment and followed agricultural practices that were sustainable. So organic is something that is sustainable, local, small-scale, family-owned, natural and agro-ecological. It may however be slow i.e. take more time and its productivity per acre of land could be less when we use modern techniques. Organic food production is however intended to drive the growth of farmer’s markets, generate more employment and improve community livelihoods. We therefore must take a rounded perspective.. Unfortunately, if these are the characteristics of organic business, then organic food alone cannot feed the world. Given the surging population and intense urbanization, we may still need to follow the “so called efficient” methods of food production that rely on use of fertilizers, pesticides and mechanization. We may even have to risk food produced through Genetically Modified Organisms (GMOs). For instance, a hectare of conventionally farmed land produces 2.5 times more potatoes than an organic one. So, if are looking for scalable solutions to go organic then globalization of organic food industry is perhaps the answer or at least part of the solution. Markets for organic food are growing. According to Organic Monitor estimates, global organic sales reached $54.9 billion in 2009, up from, $50.9 billion in 2008. The countries with the largest organic markets are the United States, Germany, and France. (Source: The World of Organic Agriculture: Statistics & Emerging Trends 2011). Acreage managed organically is however only a small percentage close to just around 1% of the total area cultivated (Source: The World of Organic Agriculture: Statistics & Emerging Trends 2011. See http://www.ota.com/organic/mt/business.html). So there is a long way to go still. Globalization of organic food has however many challenges. National organic food standards mainly exist in developed countries but then there are now hundreds of such standards in use. 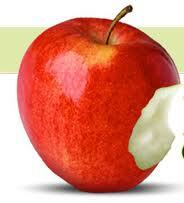 So criteria for organic apple from New Zealand will be different from the organic apple from California.. Significant efforts for harmonization of organic food standards are needed and it may just not be worth given the complexity, specificity and preferences of the regions. As a buyer of organic food, I would be lost in the maze of labels and terminologies. The US Department of Agriculture’s National Organic Program for instance distinguishes three categories of organic: ‘100% Organic’, ‘Organic’ (contains at least 95% organic ingredients) or ‘made with organic ingredients’ (at least 70%). Only products in the first two categories are eligible to carry the USDA Organic Seal. To qualify for the European Union Organic Logo on the other hand at least 95% of a product’s ingredients of agricultural origin must be organically produced. Apart from the non-uniformity of standards, the second challenge is the management of global organic food supply chains. Organic food standards often encompass environmental attributes and address social and ethical considerations, especially when we look into the handling of farm labor. Given the small land holdings of farmers in developing countries, poor access to infrastructure and finance and weak monitoring and enforcement, verification of organic criteria becomes extremely difficult. Added to that is the problem of traceability as it is often hard to pin down the supplier network when there are informal segments operating between farm and produce. You need robust accreditation systems as well as team of verifiers to ensure that the global chains of organic food actually deliver the organic products. Costs of labor have been one of the principal factors to look for competitive global sourcing. Hence organic food, that is more labor intensive in the EU and the US, travels distances from developing world. This leads to more Green House Gas (GHG) emissions, greater environmental impact (e.g. packaging) and importantly more costs. Added are the costs of accreditation and verification. This is a yet another challenge. It is important therefore to apply Life Cycle Assessment (LCA) and judge whether globalization of organic food is the way ahead LCA related to food production looks into: energy required to manufacture artificial fertilizers and pesticides; fossil fuel burnt by farm equipment; nutrient pollution caused by nitrate and phosphate run-off into water courses; release of pollution that may cause acid rain; and the area of land lost under farmed that could have been used for some other beneficial use. It also looks into material burden on packaging, storage space (with climate control) and spoiled food waste, transport and disposal of fruit residues if processed. Such an accounting of resources, energy and wastes/emissions may just show that getting organic apples from New Zealand to Mumbai may not simply be environmentally sound. Ideally, organic apple of New Zealand should be sold and eaten in Christchurch and not in Mumbai! For Students – Research on the criteria for Organic Food, Organic Cotton, associated Eco-labels and come up with a common criteria. Attempt quantification of benefits and costs over life cycle of going organic. Take a case study on organic food that travels long distances. Understand the term Traceability. See http://up.agri.net.in/organicmain.aspx to know e-organic traceability organic food in Uttar Pradesh in India. Modelling of Environmental Impacts –A Ritual? or Reality? Mathematical modelling of environmental impacts has often been an important part of Impact Assessment. Modelling of air emissions, noise, thermal discharges, wastewater releases on the shore and through outfalls have been some of the common applications. Mathematical models are used to simulate emissions, meteorology, and hydrology/hydraulics and arrive at ambient concentrations to compare with applicable standards under various scenarios. These results are then used to make decisions on stack heights, outfall length, noise barriers and design of green belts, level of control or pre-treatment of emissions needed, sulphur content in the coal etc. There are significant implications of model-based decisions on the costs. Results of simulation depend on the model being used. In air quality modelling, for instance, results of Industrial Source Complex (ISC) model and that of AERMOD can differ by an order of magnitude! Hence, which model is used for impact assessment becomes a very important question. There have been instances in India wherein a Flue Gas Desulphurization (FGD) unit has been slapped on a Coastal Thermal Power Plant based on results of a basic Gaussian Plume Model (GPM) that did not factor-in coastal conditions (i.e. sea breeze and fumigation). Underneath the façade of science – there can be the elegance of ignorance! In countries like the United States, Australia and EU select models are recognized as “regulatory” models and these models are recommended for impact assessment. Importantly, this list of models is regularly updated. See http://www.epa.gov/airquality/modeling.html for recommended air quality models by US EPA. The Ministry of Environment and Forests (MoEF) in India has listed a number of models for impact predictions. See http://envfor.nic.in/divisions/iass/eia/Annex5.htm. This list of models is however dated (e.g. it lists ISC-2 as one of the recommended air quality models, when today AERMOD is recommended in the United States replacing even the ISC-3). Further, no guidance is provided on the use of these models. Last publication on Guidance on Air Quality Models was in 1997-1998 by the Central Pollution Control Board (CPCB). No research studies have been commissioned by the MoEF to test the accuracy of these mathematical models under Indian conditions and using Indian data. Have we ever conducted verification studies on model predictions? Modelling is hardly taught at universities, so most Indian ‘modelers’ use modelling software as a black box. Plug data in and spew the results! I would like to draw your attention here to a very interesting observation made in Hong Kong (see http://www.legco.gov.hk/yr12-13/english/panels/ea/ea_anlp/papers/ea_anlp0628cb1-1393-2-e.pdf). This observation pertains to the importance of model accuracy or confidence and communication of modelling results regarding air quality. I am reproducing two interesting paragraphs from this note that are worth pondering over. We welcome the Subcommittee’s review of “Air Pollution Modelling in Hong Kong”. Hong Kong’s air quality is a topic of great public concern. The lack of progress in improving air quality has led many to question the effectiveness of our air quality management system. Most people understand that air quality modelling is important for our air quality management system because of its role in air quality impact assessment. However, not many people understand the details of air quality modelling as modelling is relatively technical and complicated. Hence, most people prefer to treat it as a black box. People don’t like black boxes, particularly when our air quality management system does not seem to be working. Therefore, there have been growing concerns about of the accuracy and application of air quality models in Hong Kong.…….So, we have a peculiar situation: for the past 15 years, the air quality models used in the EIAs are projecting compliance with the AQOs, while observations by EPD showed continual noncompliance for Hong Kong. This apparent contradiction is an important reason why many are sceptical about the EIA process in general, and lost trust in the air quality models in particular. In India, we include modelling more like a ritual in the EIA reports. We use out-dated models and our model application quality is poor. Results of modelling, especially model limitations, are not well communicated to the stakeholders and to the public. Model verification and validation studies are seldom carried out. If used on a mature basis, modelling indeed has a value – but we haven’t learnt the art and science of modelling in this perspective. 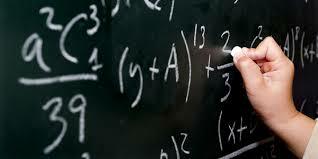 We need to ask MoEF/CPCB to update the list of recommended math models, provide guidance on their use and interpretation, and sponsor model verification studies. Let us also work together to offer hands-on training programmes on application of some commonly used models. Let us not make modelling a ritual. For Students – Research on how a model reaches a state of a ‘regulatory model’ for impact assessment. Take a case study of ISC-2, ISC-3 and AERMOD in US EPA. Understand how models are field-verified and what is involved in Prediction Audits of a model. For more serious research in this arena, I would recommend you to see an excellent article by Matthew Cashmore ‘The role of science in environmental impact assessment: process and procedure versus purpose in the development of theory’ (see http://faculty.mu.edu.sa/public/uploads/1338109315.1011EIA-8.pdf ) as a start.The list of references in this article is very comprehensive and very helpful for a beginner. Many stakeholders today want to understand organizations commitment and performance on sustainability. But then Sustainability is a term always hard to define. Communicating on sustainability is even harder. A bigger challenge is how to put sustainability in practice. Sustainability in an organization is generally pursued in tiers. At the minimum, journey towards sustainability must start with compliance. Every organization that aspires to be a champion on sustainability needs to take all efforts to ensure that laws of land are fully met. This may require complying with procedures, doing associated documentation; investing on mitigation measures, deploying qualified staff and conducting required monitoring and reporting. Any organization that is not compliant should not be considered as “sustainable”. The next tier on sustainability is to go “beyond compliance”. Here the organization undertakes sustainability related initiatives as driven by its vision/mission and goals/objectives and not solely directed by needs of compliance. So under the interest of resource conservation, the organization may install rainwater harvesting units or undertake vermi-compost of wastes to promote recycling or implement solar water heaters in the canteen to reduce consumption of fossil fuels. The organization may follow a policy to use only CNG powered vehicles for its material transport to reduce GHG emissions. Idea is to minimize the impact footprint of the business operations. Many of these initiatives however provide returns or operational savings given the rising costs of resources (water and energy) and help improve the resource security. Going beyond compliance is therefore more of practicing “smart sustainability”. Strategies and tools such as “cleaner production”, “green productivity” help in this endeavor. The third tier on sustainability is to expand the “boundary beyond the factory gates” and address wider set of stakeholders across the supply chain or even the life cycle. The organization needs to engage here the suppliers for instance on how to improve resource efficiency and waste recycling. Accordingly, technical/financial assistance may be provided. Further, vendor selection criteria may be developed and imposed asking for a code of practice on sustainability. A supplier may have to commit for instance 20% of energy use from renewable resources or 50% water recycling. On the side of consumers, the organization may operate a “take back policy” and promote recycling of packaging and used goods by setting up collection centers. Used mobile phones for instance could be deposited to earn reward coupons .These efforts may fall into the realm of organizations “extended producer responsibility”. This strategy of practicing sustainability often adds a brand value to the organization reduces risks and adds to its competitiveness over a long run. Generally at this tier, organizations follow the practice of “sustainability reporting”. This helps in improved internal and external communication and builds record keeping. The fourth tier on sustainability is to widen the “social frontiers” of the organization by addressing the “catchment area” i.e. “going beyond project boundaries” but without any direct commercial motives. Here the organization addresses needs of its neighborhood (or catchment area); works with interested partners and implements projects that help improve the livelihoods and natural resources of the region. These projects are often conceived and implemented under Public Private Partnerships (PPP) focusing on “social inclusion”. Supporting school education and primary health centers, carrying out aforestation and watershed development programmes are some examples. These projects may well be form part of organizations efforts towards “corporate social responsibility”. The returns on these investments are however over a long term. Addressing of global issues like climate change is also considered at this tier – especially financing projects that assist the communities towards adaptation. On mitigation, the organizations expand sustainability reporting of the earlier tier into specialized reporting such as on GHGs e.g. by subscribing to projects such as “carbon disclosure “. Most organizations today in India belong to tier 1 and struggle even to get there! Tier 2 is generally practiced by medium to large scale organizations that have technical capacities, financial resources and enjoy support of top management. Multi-nationals with global supply chains are leaders on tier 3 and their sustainability driver is the market and competition. Tier 4 is practiced by medium to large industries. This tier is conceived, inspired and driven solely by top leadership. These leaders understand sustainability in its true sense and are recognized nationally and globally. Figure above shows the sustainability journey for an organization in tiers with associated strategies. Normally, sustainability should be implemented in this succession. Check which tier you belong. . and aspire towards the next tier. Plastic, Paper or Reusable Shopping Bag? Plastic bags are still used for at shopping malls. A plastic bag can be in principle reused many, many times. If collected, plastic bags can be melted and transformed into products, as an additive for road asphalting and even to make diesel. Plastic if not recycled then can be burned to generate electricity. Burning of chlorinated plastics can however lead to emission of dioxins and heavy metals if incineration if not done at right temperature and appropriate control systems are not in place. Plastic does not readily degrade in a landfill. Biodegradable plastic bags are now coming up that are “corn based”. Biodegradable plastic is however still more expensive. There is a popular misconception that paper bags are more environmentally friendly than plastic bags. Paper comes from trees and unless sustainable forestry is practiced, making paper leads to depletion of green cover – affecting local ecosystems and extent of absorption of GHG emissions. According to a 2007 study by Boustead Consulting & Associates, it takes almost four times as much energy to manufacture a paper bag as it does to manufacture a plastic bag. Paper bags use twenty times as much fresh water vs plastic bags. These facts are just startling! If we want to recycle paper, then the paper must be collected and converted to pulp. This is done by use of several different chemicals including sodium hydroxide, hydrogen peroxide, and sodium silicate. The pulp must be washed with clean water to “de-ink”. 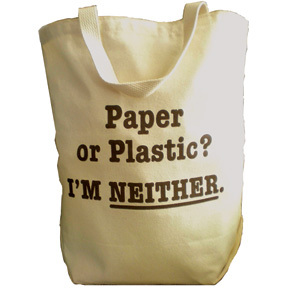 Ecological footprint of a recycled paper bag is therefore no different from a plastic bag. Both are equally sinful. The best choice overall is perhaps to use a reusable bag. Most reusable bags last for 5-10 years and beyond. Reusable shopping bags are often made out of waste materials- so in some sense – help convert waste to a resource. In Australia, most green bags are made of 100% non-woven polypropylene which is recyclable but is not biodegradable. End of life impact of such reusable bags can therefore be complex. An unpublished report from the UK’s Environment Agency found that when compared to a traditional plastic bag, a canvas or cotton reusable bag would have to be reused a total of 171 times to offset the GHG emissions. So reusable bags must be used sufficiently enough to claim the environment advantage. A reusable bag if made from waste materials e.g. discarded textile fabric then it is much better. Making of such bags is often done by providing employment to women and underprivileged so there is a benefit of livelihood creation especially for the poor. The apparel industry promotes reusable shopping cotton bags today as sustainable fashion. Many fashion czars and supermarkets have introduced incentives towards use of reusable bags. Some supermarkets give points to customers when they bring own shopping bags. When the customers collect a certain amount of points, they can usually get discount coupons or gifts, which motivate customers to reduce plastic bag use. Some retailers such as Whole Foods Market and Target offer a cash discount for bringing in reusable bags.This makes the adoption of reusable bag even a smarter choice. There are however concerns in the use of reusable bags as well. Most reusable bag shoppers do not wash their bags once they return home and the bags may lead to food poisoning. Because of their repeated exposure to raw meats and vegetable there is an increased risk of food borne diseases. Since reusable bags are often made out of waste, there are contamination risks. In January 2011, USA Today ran an article based on a report from the Center for Consumer Freedom, that bags sold in the U.S. by Walgreens, Safeway, Giant, Giant Eagle, Bloom and other grocery chains and retailers contained levels of lead in excess of 100 parts per million, the maximum amount allowed under law in many U.S. states. These findings are however not supported with adequate data. To conclude, life cycle impacts of paper and plastic bags are roughly equal in pros and cons. When faced with the question of paper or plastic, the answer should be neither. Choosing a high-quality reusable bag will make you the real “green shopper”. But remember that reusable bags must meet certain product quality and safety standards. You must also clean or wash the reusable bags prior to each use. And most importantly, you must actually practice reuse!